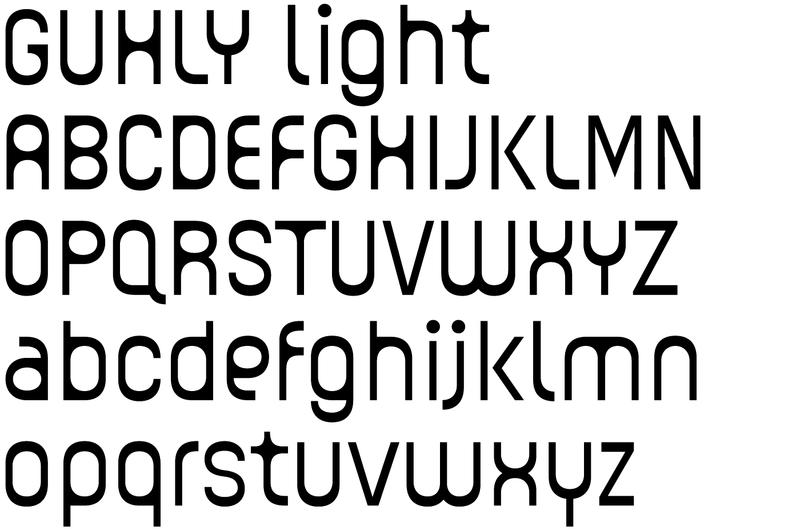 All the dimensions of the font are based on Factor 10. 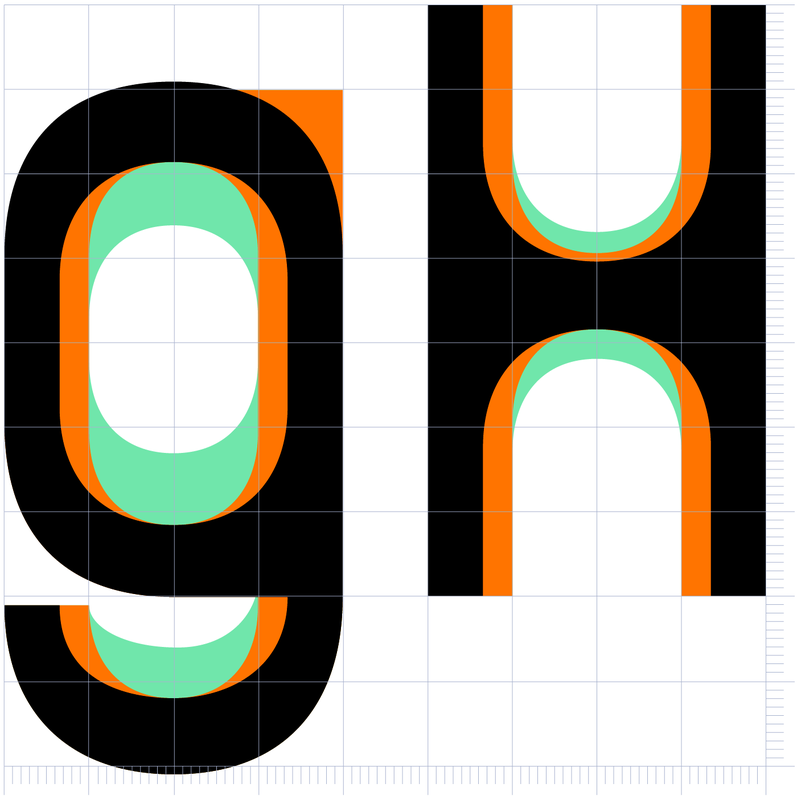 The general principle of construction leads to slim forms and nearly equally wide characters. So the font appears very solid but is actually difficult to decipher in longer texts. 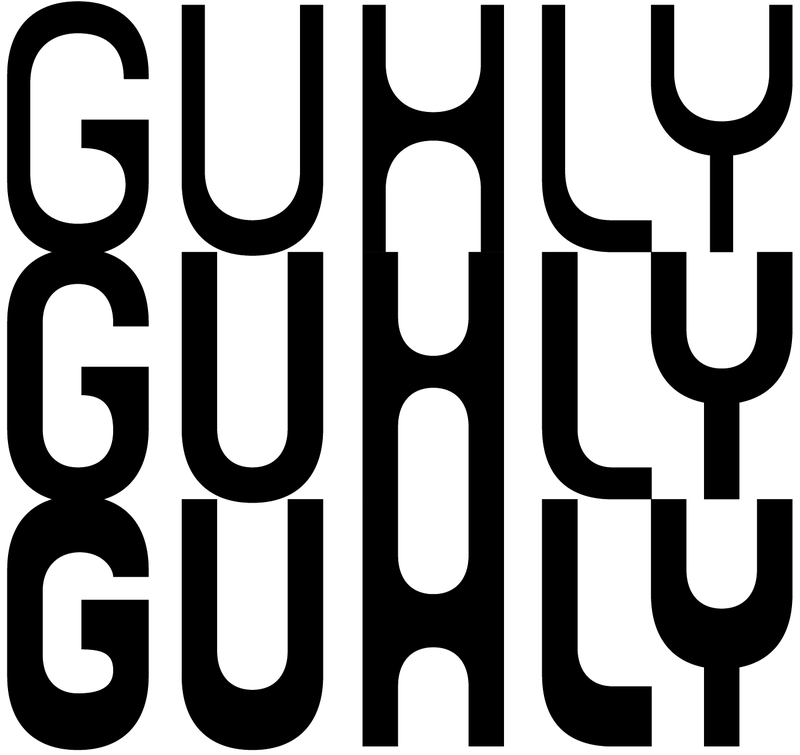 Along with the ”normal“ GUHLY Regular there are also the two versions GUHLY Light and GUHLY Bold, whereas in each only the vertical strokes [GUHLY Light] or horizontal [GUHLY Bold] have been changed in strength. The result is a very individual decorative effect which slightly reflects old circus and western scripts. 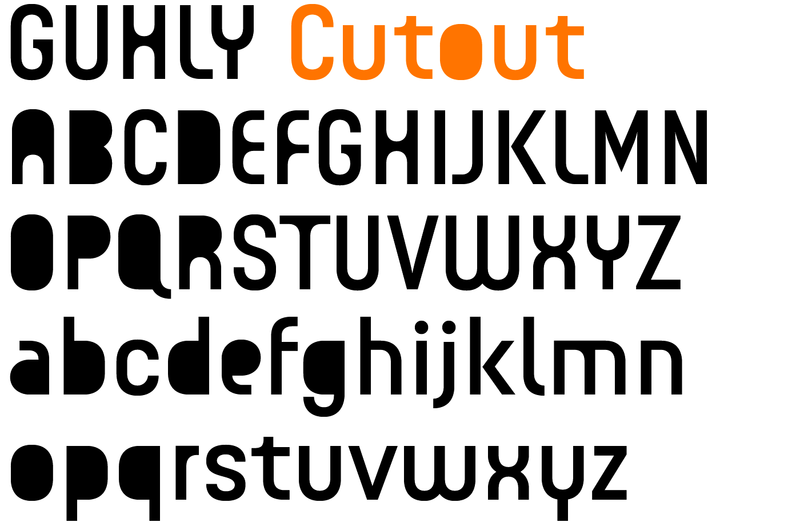 The design of a shampoo bottle stands behind the creation of this sans serif display font. Prominent, clearly constructed forms with circular arcs define its appearance. This is a font primarily designed for use with capital letters — for all sorts of advertising purposes, headlines and titles. 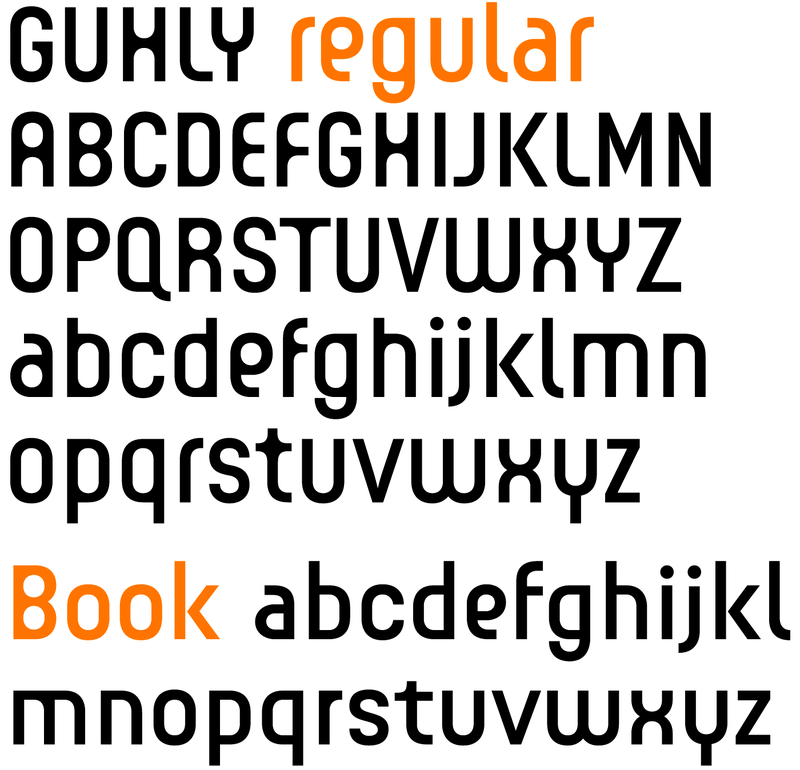 But lower case letters also belong to a good functional font; so, of course, GUHLY includes them and ligatures for the more ”critical“ letter combinations as well as stylistic alternates for the letters K (or k), V (v) and o.
und zum anderen die GUHLY Stencil — wie der Name schon sagt eine Schablonenschrift mit den typischen Stegen, die einer Schablone den nötigen Zusammenhalt geben.